• Cypher Wednesdays – Free pick-up/drop off of CSG employee vehicles that have scheduled service appointments at Tilbury Auto Mall. Vehicles will be back in the lot by end of day. 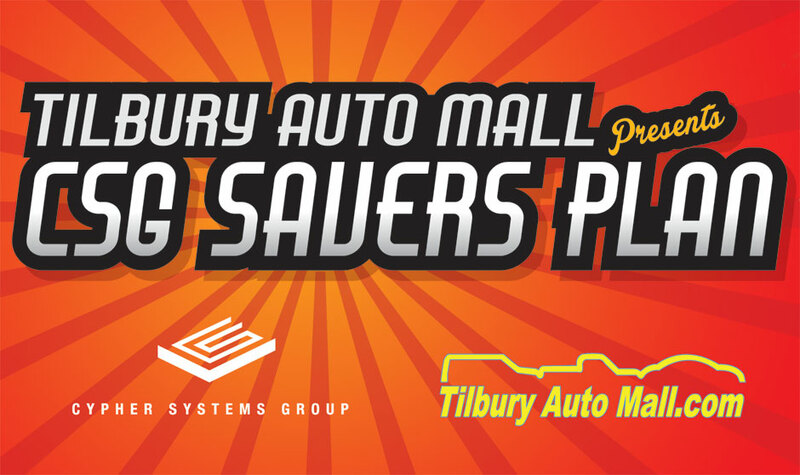 * CSG employees must be registered with Tilbury Auto Mall to qualify.